Every home seller has one thing in common: they want to sell for the most money possible. So, what does it take to squeeze every last dollar out of your home? It often comes down to upgrading and updating the right areas and features. That’s why we’ve collaborated with real estate professionals across the country to get their advice on getting your home ready to sell. As much as this post is about upgrades to increase the value of your home, it’s also about upgrades you shouldn’t make. 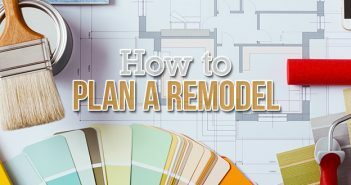 In short, big remodeling projects often cost more money than they are worth, especially for those looking to sell their house quickly. 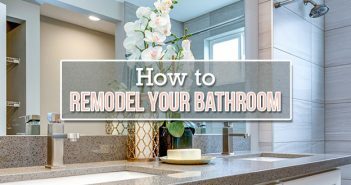 Even though one of your bathrooms may desperately need updating, it’s not worth putting in the money if its value doesn’t exceed its costs. While it’s likely not worth undertaking a major renovation project, the kitchen is still worth your time and attention. It’s often the focal point of the home and is a make-or-break aspect for buyers. Potential projects include replacing old light fixtures, painting with a neutral color and upgrading to new appliances (if yours aren’t relatively new). Kitchen, bathrooms, backyards and basements commonly stand out to buyers. Why is that? The kitchen and bathroom have the greatest opportunity to stand out and add character with cabinets, sinks and appliances. They provide features that become ingrained in the memory of a potential homebuyer. So what does this mean for you as a seller? It’s all about gauging your home’s most pressing needs and taking care of them in an affordable fashion. While it may not make sense to update an entire room, making minor updates may make sense. Remodeling Magazine provides a thorough list of remodeling projects, including kitchen remodels, comparing their cost versus value. It’s a great resource for anyone considering upgrading their home and even breaks down each project’s value by region. 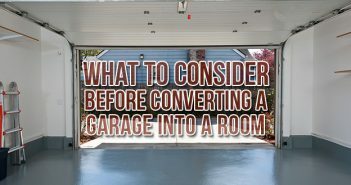 For the most part, you’ll find that it echoes one of the main takeaways of this post: cost often trumps resale value. So how do you work with what you have? There are several minor projects you can tackle that will impress buyers and make sense from a financial standpoint. Buyers make their decision on whether or not they like a home within the first few minutes of pulling up. This makes it critical to pay attention to small details and ensure nothing detracts from your home’s appeal. You want to do everything you can to help the buyer picture themselves living in the space. This may include tasks ranging from removing your family pictures to painting rooms a neutral color. The projects listed below typically don’t require a large financial investment, but they do require effort and a keen eye. Consider all of these upgrades and updates before putting your home on the market. First impressions are everything when it comes to selling your home. This is why it’s critical to have the exterior of your home kept up and inviting to guests; well-maintained landscaping and updated fixtures can go a long way. In the same frame of mind, it’s critical that the front of your house be updated with a fresh coat of paint. Many local paint stores can color match what you currently have, so you’ll save money by not having to paint the entire house. For those looking to do more than just paint, read our guide on How to Add DIY Curb Appeal. Get tips and tricks on improving the exterior of your home. As important as it is to have a fresh coat of paint on the exterior of your home, the same holds true for the interior. You want to give potential homebuyers something to work with and paint is one of the best ways to do so. It’s key to pick a color that appeals to the masses. Many industry professionals recommend Benjamin Moore Revere Pewter as a paint color to use throughout a house. It provides a unifying look that works well in a home with an open floor plan. Buyers are looking to get their hands on an open floor plan. Open concepts create a single, unifying room that allows sunlight to flow and is good for entertaining guests. Opening up the space as much as possible, especially in the kitchen and living rooms, can go a long way in attracting buyers. While it may not make financial sense for everyone to knock down walls, you can create the perception of a larger open space by making a few small changes. Bring in more natural light to a room. Choose and paint a central color palate. Consider how your furniture is arranged. Declutter each room as much as possible. Do you have any tips for homeowners looking to upgrade their home before selling? Please drop a comment below to share your ideas and/or success stories.